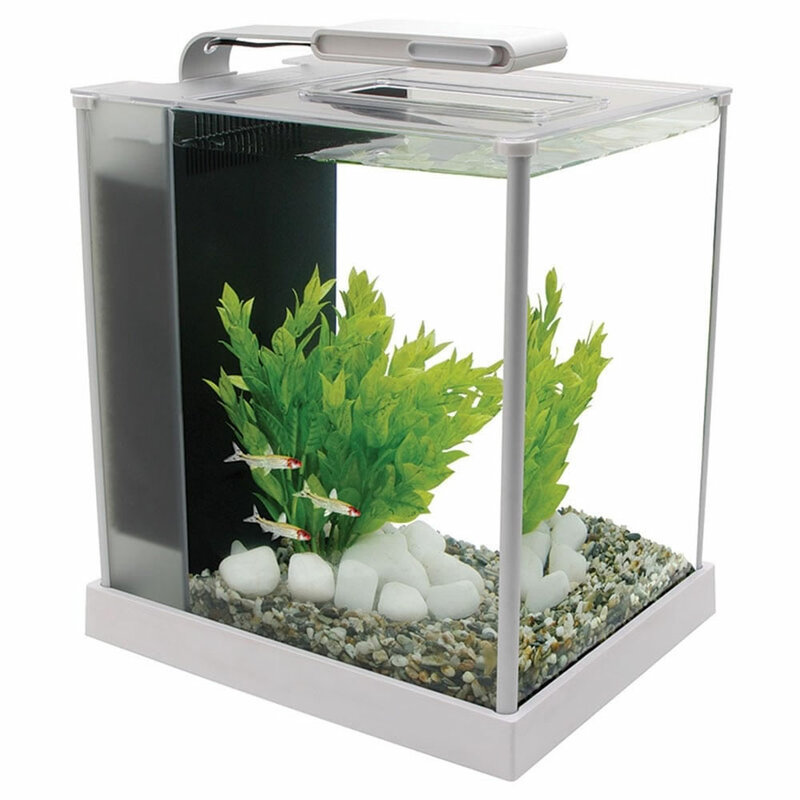 Fluval Spec is a contemporary-looking aquarium designed for small areas such as desktops and counter tops. This 10-litre etched-glass aquarium with aluminum trim combines style and functionality in one small package. It comes with a sleekly-designed overhanging lighting system, consisting of 31 powerful LED lamps, that arches above the aquarium to provide brilliant illumination for plants and dÃ©cor.